In the lunge, extension occurs in the hip and knee joints. In this action the thigh moves away from the shin and pelvis as the leg is straightened. In addition, the erector spinae muscles contract isometrically to stabilize the spine. With some minor exceptions, it can be said that the lunge is valuable in all the sports mentioned in the section on the squat exercise. However, the lunge also provides other benefits, such as development of hip joint flexibility, which is very important in sprint running. In the push-off, the greater the flexibility of the hip joint flexors, the longer is the stride that can be attained. In order to get the full benefits of this exercise in the hip joint area, it is essential that you keep your trunk erect and not lean forward. With your trunk in this position, there is maximum flexion in the hip joint of the forward leg in the down position. 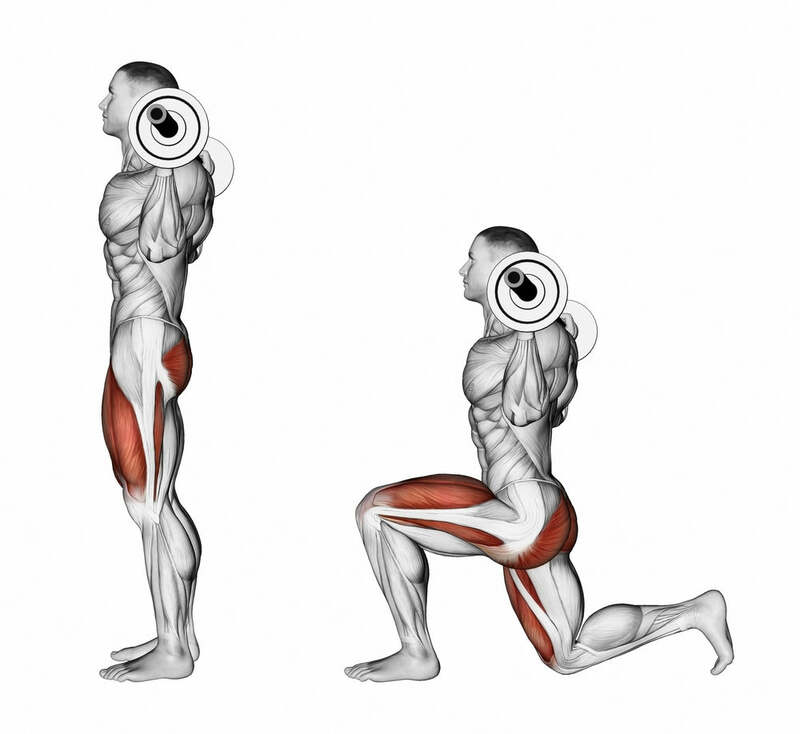 This, in turn, brings on a strong stretch of the gluteus maximus muscle for a stronger contraction. In essence, the deeper the lunge, the greater the involvement of the gluteus maximus and hamstrings. You will also develop greater hip joint flexibility.